Trump Denies Calling Tim Cook ‘Tim Apple.’ It Happened on TV.Kind of a problem that the president is a pathological liar. Trump Calls Apple CEO Tim Cook ‘Tim Apple’ to His FaceCook responded to the gaffe by quietly changing his name on Twitter. Apple Sued After FaceTime Bug Reportedly Let Someone Eavesdrop on TestimonyAn attorney in Texas is coming for Apple in a suit filed this week. Apple Has Completely Changed Up How It Reports iPhone Sales. Why?The world has changed a lot in the past ten years. The company has to find new ways to brag. Tim Cook Pushes for Strong Privacy Regulations That Don’t Really Affect AppleThe Apple CEO says his company supports “comprehensive” federal laws. Billionaire Catfight Corner: Cook vs. ZuckFinally, a good old-fashioned feud. The Trump Administration Is Trying Another Pointless Tech SummitSmart tech-boy Jared Kushner will try to modernize the government. Apple’s Tim Cook to Host Paul Ryan Fundraiser to Show GOP They Can Still Be PalsApple pulled out of the Republican convention, but Cook isn’t severing his ties with the party. Apple May Have Finally Fixed the Worst Thing About the Apple WatchApps will now launch faster. 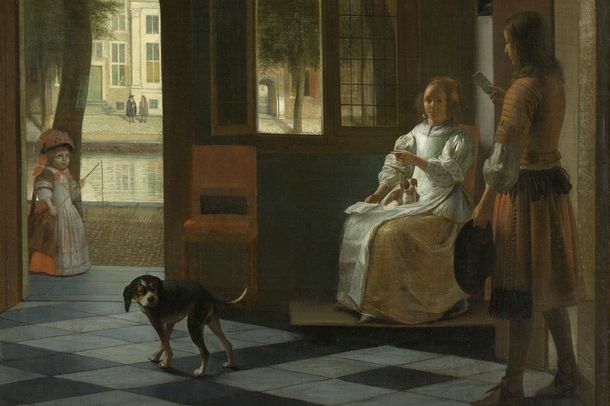 Apple CEO Loves iPhones So Much He Saw One in This 300-Year-Old PaintingNo Tim, that’s not an iPhone. Tim Cook: Apple Is Big and Strong. Our Phones and Watches Are Good.But of course he would say that. The Apple Watch Is Finally Coming to Us in AprilCEO Tim Cook made the big announcement. Russia Removed a Monument to Steve Jobs Because Tim Cook Is GayJobs is gay by association. Anti-Gay Lawmaker Wants to Ban Tim Cook From Russia Because of Ebola and AIDSObviously. Apple Is Fixing the iCloud Security Problems It Swears It Doesn’t HaveFunny how that works! Reform the Corporate Income Tax, Don’t Ditch ItA (partial) defense of a very unpopular idea. Someone Is About to Pay $200,000 for an Awkward Coffee Date With Apple’s CEOBut what will they talk about? Is the iBloom Off the iRose at Apple?The company’s latest earnings are not so great. Apple Unveils iPhone 5 As World Falls to Knees in WorshipBOW DOWN. Can Tim Cook Pass the Steve Jobs Test?We asked two professional CEO coaches. Items Inadvertently Left Off Apple’s Shopping ListWhat else should Tim Cook buy? Apple Disappoints Stock Market by Only Making Slightly More Money Than GodAnalysts had expected it to out-earn two gods. Mr. Cook and the Apple Factory The company head stopped by during a visit to China. Apple Can’t Get Rid of Its Cash, Even With Dividend and BuybackThe company announced a plan today to pay back shareholders and buy back stock. Danger at Apple Factories in China Exposed AgainThe company’s labor practices don’t seem to be getting much better. Apple Did Just Fine Without Steve Jobs, iPhone 5The company reported huge profits from the first quarter without its co-founder. Apple Stock Dips As Tim Cook Announces iPhone 4S Instead of iPhone 5 [Updated]Tim Cook’s debut is an anticlimactic one. Apple Expected to Announce iPhone 5 on October 4New CEO Tim Cook will make his first star turn. Does Today’s Stock Rally and Gonzo Earnings Mean Apple Can Thrive Without Steve Jobs?After a $20 billion dive, Apple closed the day down less than 2 percent. Steve Jobs Takes a Medical Leave of Absence From Apple [Updated]The announcement was timed on a day when the stock market was closed.